​Are experts really searching for alien megastructures in space? 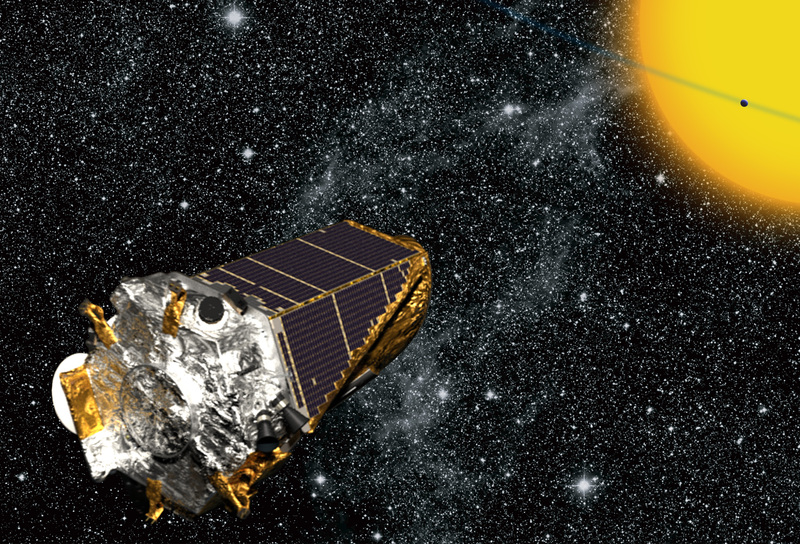 The latest finding from NASA's planet-hunting space telescope, Kepler, has scientists talking -- and they're stumped. "We've ruled out the usual suspects and are scratching our heads and can't figure out what this anomaly is," said physicist and CBS News science contributor Michio Kaku. He was talking about a mysteriously flickering star imaged by Kepler and noticed by a team of citizen scientists led in part by Tabetha Boyajian, a postdoctoral fellow at Yale University. Boyajian published a study on the strange star, KIC 8462852, in September in the Monthly Notices of the Royal Astronomical Society that attempted to nail down a plausible explanation for its unusual behavior. The data led her not to an obvious answer, but down the rabbit hole that is the search for extraterrestrial intelligent life. The Kepler Space Telescope has identified more than 1,000 planets outside our solar system since it was launched in 2009. It scans space looking for telltale signs of these exoplanets as they orbit their equivalents of a sun. When one passes between its mother star and the telescope, it creates a decrease in brightness -- like an eclipse -- that Kepler can pick up on. A pattern of dips from the same star suggests a planet completing orbits around it. KIC 8462852 showed dips all right, but they were weird: Brightness went down more than 20 percent in some instances (a much greater change than is usually observed) and the changes came at irregular intervals. "This is an oddball, a real oddball," said Kaku. "Kepler for years has been giving us a catalog of over 1,000 extra-solar planets and this is the first oddball out of hundreds of thousands of stars scanned. This is the first one that does not fit the usual scenario." After exhausting a raft of ideas, Boyajian landed on the most probable explanation she could think of. "Our most promising theory invokes a family of exocomets," she wrote in her study. Perhaps another small star passed through the system, precipitating a "barrage of comets" around KIC 8462852 that could cause the irregular dimming observed by Kepler. And indeed, there is a small star nearby that could be the culprit. But the theory wasn't air tight, and Boyajian asserted that there was a lot more work to do. She approached Jason Wright, an associate professor at Penn State University with a particular interest in finding intelligent life elsewhere in the universe. "Did I have any idea what it might be, she wondered? We tossed around ideas, but I was stumped," Wright wrote on his blog Thursday. "Interestingly, I had been working on a paper about detecting transiting megastructures with Kepler. The idea is that if advanced alien civilizations build planet-sized megastructures -- solar panels, ring worlds, telescopes, beacons, whatever -- Kepler might be able to distinguish them from planets ... One of the things that occurred to me is that a civilization that would build one megastructure would eventually build more." What would that look like, he mused? If they were small, you might see a flickering, or general dimming. But if they were huge? You'd get dips -- dips like Kepler saw around KIC 8462852. Scientists have been looking for decades for signs of advanced civilizations capable of controlling the output of a star, Kaku said. "The trademark would be some bizarre, seemingly random flux in star light -- and that's what we have here." Boyajian and Wright have teamed up with a scientist at the SETI (Search for Extraterrestrial Intelligence) Research Center at UC Berkeley to point a massive satellite dish toward the star in hopes of encountering radio waves that suggest the presence of advanced technologies. Wright admits it's a long shot at best, but figures that targeting SETI efforts on "the most astrophysically inexplicable phenomena" -- and this would surely be one of them -- is a pretty reasonable idea. Kaku told CBS News his personal guess is that we're looking at an unfamiliar type of solar system, possibly including several giant, Jupiter-sized planets with orbits that take centuries to complete -- which would mean that it would take even more centuries to observe a regular pattern. But the possibility of alien civilization, he said, "cannot be ruled out."